An overview of London's 2016 Dance Umbrella festival. The 2016 Dance Umbrella festival opened with a great idea that could be (and was) taken in two opposing ways. The idea behind Unknown Pleasures, a programme of five works by the Ballet de Lorraine, was that all of the works were anonymous (the only credited names in the programme were the performers). One response was to try to guess who the choreographers were (or at least to classify the works as “in the style of” a particular choreographer). To me, that approach overlooked the real pleasure of the programme: the opportunity to experience the performances themselves, unencumbered by histories, reputations, expectations, without even the pointers of titles or programme notes. In an arts world that sometimes seems disproportionately focused on anything but the art itself – think of branding, pre-selling and market positioning, of celebrity-centred previews and profiles, artworks that rely on titles and backstories for their primary meaning – that felt like a liberation. What you see is what you get. Deal with it. So what did I see, and get? Two pieces didn’t work for me. One was less a piece than a series of transitions between the others: cryptic interactions featuring tree-shapes, tentative manipulations and mumbled singing in unknown languages – the kind of material that, I imagined, probably needed a title and backstory. The other, rather cheatingly I thought, circumvented complete anonymity by using one of the world’s most recognisable pieces of music: Ravel’s Bolero. As so often, the choreographic response to the score lacked nuance. After a section of interesting enough animalistic ambulations (reminiscent of the Bolero sequence in Bruno Bozzetto’s film animation Allegro Non Troppo), the choreography segued into massed hip-thrusts and pulsing footwork familiar from Béjart’s Bolero, to equally unsubtle effect. A third piece felt more like a study than a fully realised work, but its shifting, hesitant duets of off-kilter leans and interchanges certainly piqued my curiosity even if they didn’t hold my attention. Two pieces stood on their own terms, both of them built of repeated elemental actions constructed into larger pictures. One was made entirely of lines, circles, turns and pivots, composed into particle-physics patterns of orbiting and clustering until gradually the individual letters on the dancers’ T-shirts spelled out a spinning message: “the world is burning but I keep on turning”. The other, with the dancers burnished in striking gold unitards, began with a few dancers performing ballet-class steps in open formation, and progressed by accumulating dancers, steps, formations and dynamics until the stage became a counterpart to the crashing chords of its musical score, which had followed a similar accumulation of volume, density and dissonance. The creators of all these “unknown pleasures” will, by the way, be revealed after the tour is over – which seems the right time to do so. Elsewhere, the Umbrella programme threw up some interesting pairings. Both Gala, by French experimentalist Jérôme Bel, and Wallflower by Manchester-based performance group Quarantine, emphasised the plurality and the personhood of their performers, though in very different ways. Wallflower was made from movement memories in the life stories of its four-strong cast, recast as little self-contained solos, with music and narration. There was a daredevil dive into a lake, a rave that went wrong, a bop while doing housework, but the faux-natural style – “forgetting” the exact titles of songs, chatting “spontaneously” – was a real irritant: why pretend this was not a performance? Even (perhaps especially) “ordinary” things need careful crafting when staged. Much the most interesting performer was the most artful: the highly experienced Jo Fong, who brought both dramatic and physical gravitas to her presence. Otherwise, Wallflower was more project than piece. For a while, Bel’s Gala felt the same. A series of formal moves – pirouette, waltz, bow, moonwalk – was executed by a motley cast that encompassed professional and amateur dancers, plus non-dancers, of varying age, body shape, ability and disability. Interesting idea, but the point felt laboured. Then the whole piece clicked into gear with a series of group numbers, each fronted by a different soloist whom the rest would attempt to copy, like students marking moves in class. On the one hand, this flattened all hierarchies: whether the lead dancer was doing trance-dance or interpretive dance or ballet dance, the feel was just as communal, uncompetitive and pleasure-seeking. 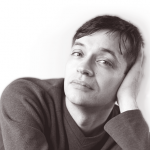 On the other, the work suddenly switched from explorative process to full-on performance. That hula-hoop dancer with the sassy wiggles? We were dying to hula-hoop too. That little girl with the big hairography to Miley Cyrus? We clawed our hair and cheered her on. The rainbow-coloured guy going the “full Liza Minelli”? He did it his way – and not in a shy way, oh no not him. Gala may have started out as a project but, in keeping with the slides of theatres that opened the show, it ended as a show-it, feel-it, do-it performance, highly conscious of its stage and its audience, and all the better for it. Another pair of performances dealt with the subject of ageing. Aditi Mangaldas’ Inter_rupted was the nicer of the two, with Mangaldas both the oldest (at 54) and most accomplished of her troupe. A strikingly designed work, full of compelling images – tasselled tunics tightening into straitjackets, Mangaldas’ face emerging from behind a curtain of hair, ghostly figures blooming and fading on the backcloth – Inter_ rupted nevertheless felt like a series of choreographic threads picked up and then discarded instead of knitted into a larger pattern. Hege Haagenrud’s Use My Body While It’s Still Young was more provocative. Four former professional dancers aged 65 to 79 (though in the event both men had to cancel for health reasons, and one slightly younger substitute was brought in) were given voiceovers that reflect on the experience of ageing. These were the most powerful elements of the piece: variously resigned, thoughtful, witty and wise meditations on the body, existence and its meaning, all of them flecked with mixed emotions. The choreography was a little literalist, but the duet between Siv Ander and Gérard Lemaître – she on stage, he only on film – was heart-wrenching in its evocation of absence. Odd (and off-putting) that the work ended with a forceful assertion of youth, the music turning into technodance and a young singer belting out the words of the title song: use my body while it’s still young. 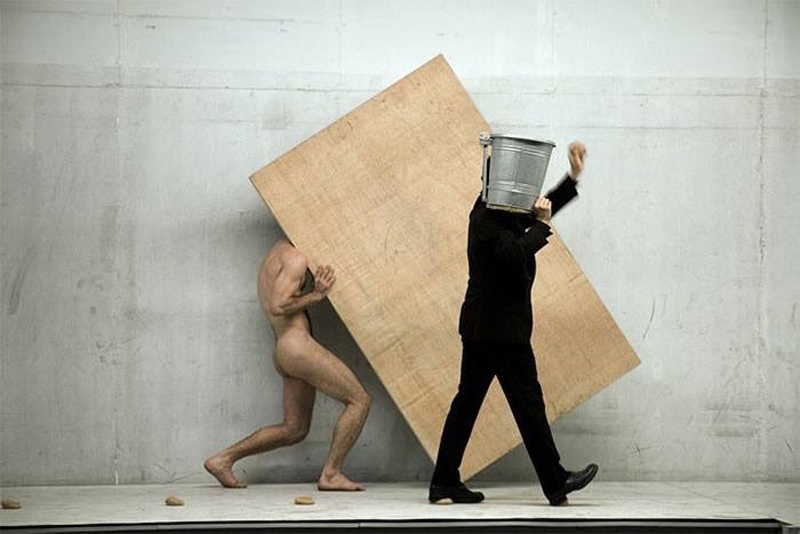 The most unexpected and most effective pairing of the festival was within a single work: Dimitris Papaioannou’s Primal Matter, a lengthy duet, played out against a long wall with minimal trappings – warehouse tables, boards, fluorescent lights – for Papaioannou, in a dapper black suit, and Michalis Theophanous, naked throughout. Simply, but avoiding literal narratives or imagery, the pair worked through different permutations of their dyad: figure and shadow, doctor and patient, parent and child, Frankenstein and Monster, sculptor and statue, crucifix and cross-bearer, body and person – and all the time, you got the nagging feeling that they were all sides of a single person. A wholly unexpected cross between avant-garde performance (Xavier Le Roy came most immediately to mind) and good old-fashioned mime, Primal Matter was as fascinating as it was discombobulating – a good sign, surely, of a great piece.